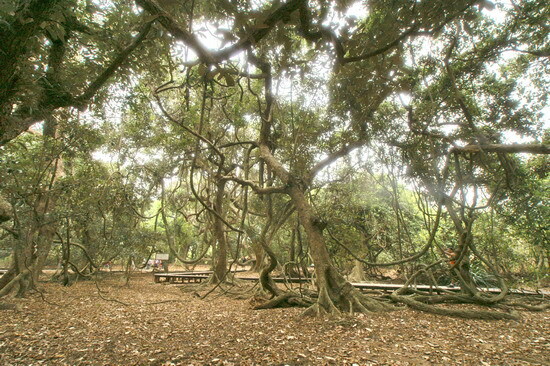 There is a wide stretch of Looking-glass trees (Heritiera littoralis) on the waterfront in Lai Chi Wo village. It is rather uncommon to see a predominant community of solely a single species. There are more than a hundred of them, large and small. According to expert assessment, two of them are over 150 years old. It seems that the others are offspring of these two old trees. 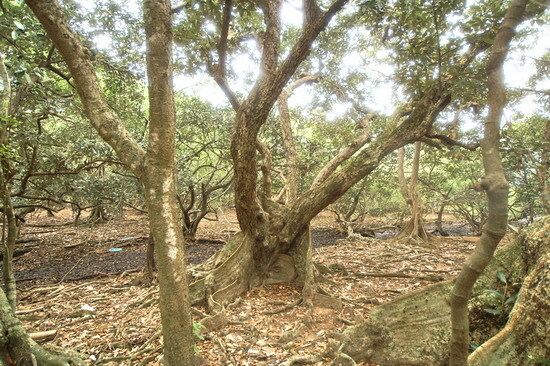 Looking-glass tree is a type of mangrove; its habitat is on the side closer to the shore. 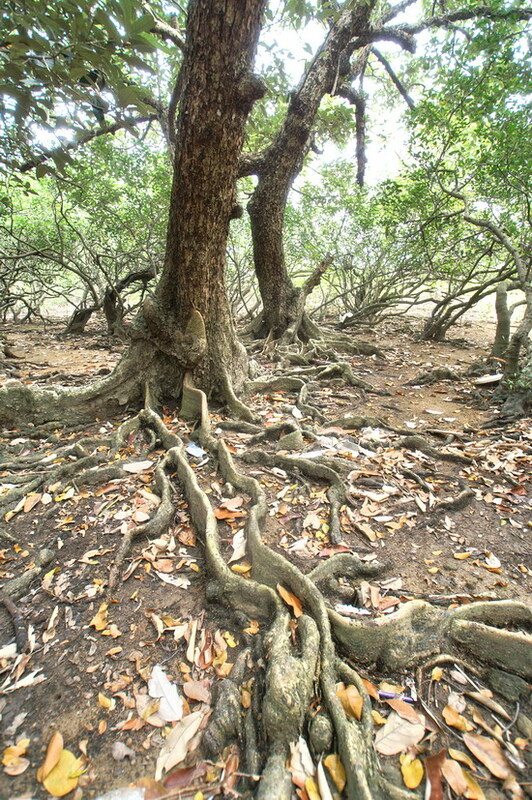 Mangrove species are capable to adapt to the harsh environment. There’s no exception to Looking-glass tree. 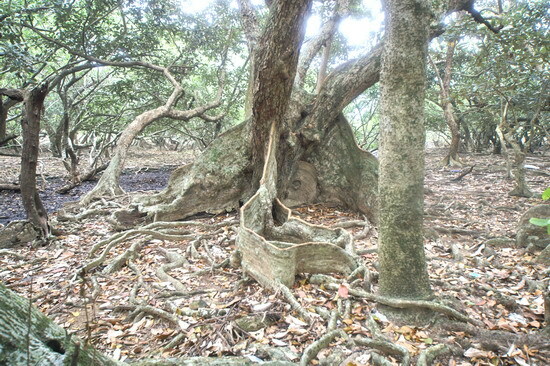 Muddy soil fires up its natural support of trunk by buttress roots. Its fruits get tough rinds and they are hollow which allow them to float across oceans. The scales on the underside of leaves reflect the light of sea water. These Looking-glass trees in Lai Chi Wo village are not adjacent to the village, and, therefore, they are not Fung Shui wood. It is quite remarkable that the villagers allow them to grow peacefully.